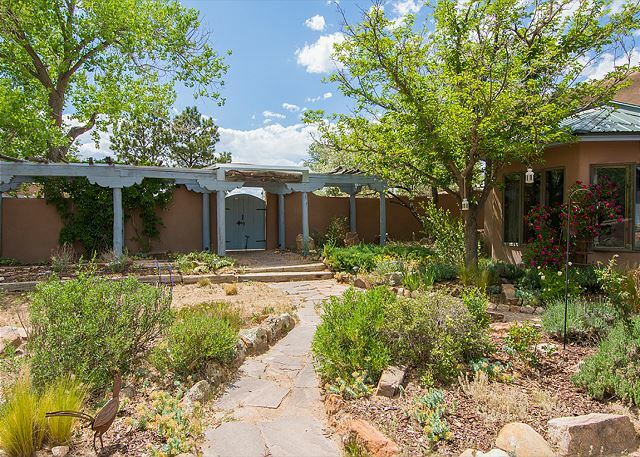 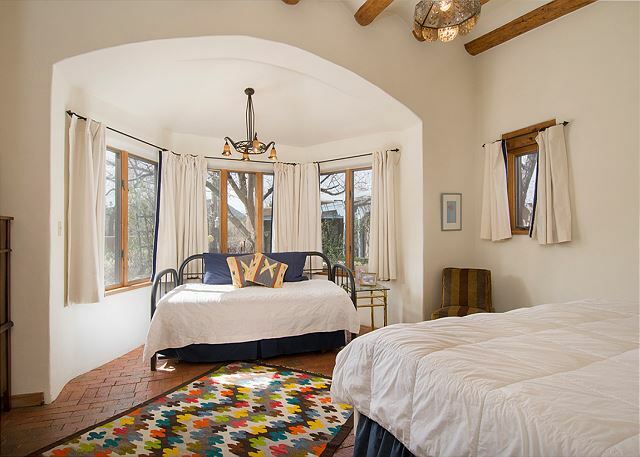 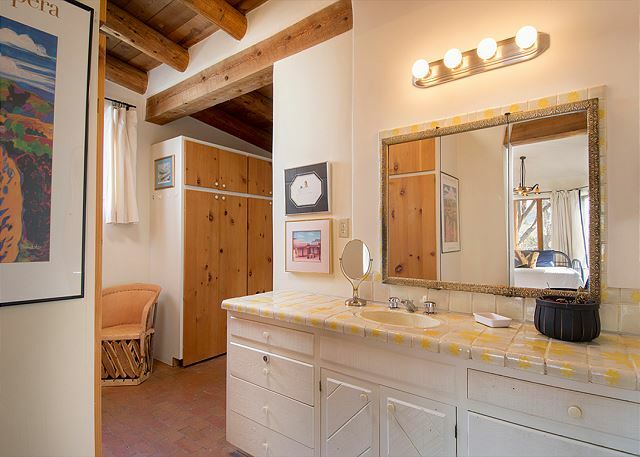 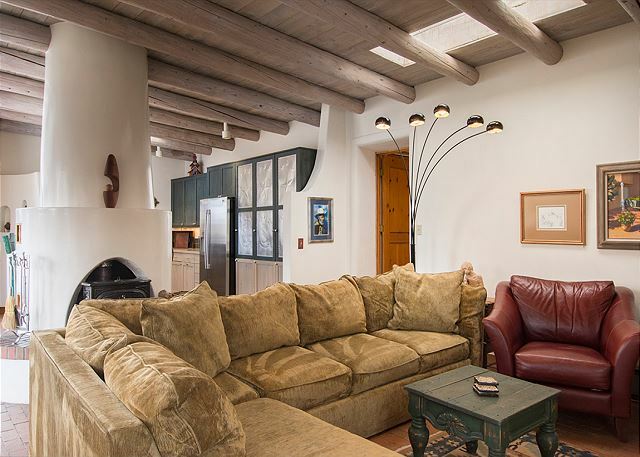 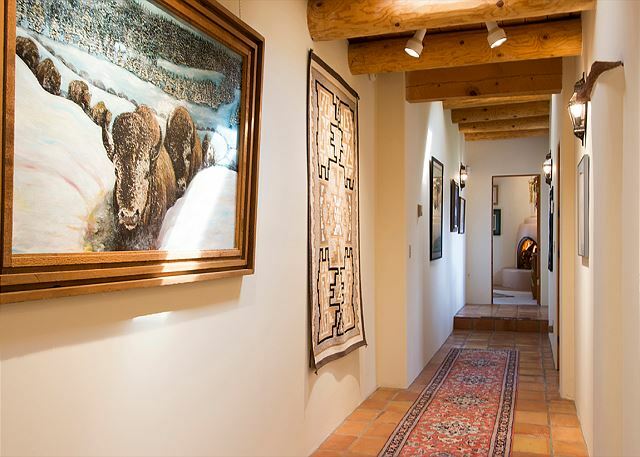 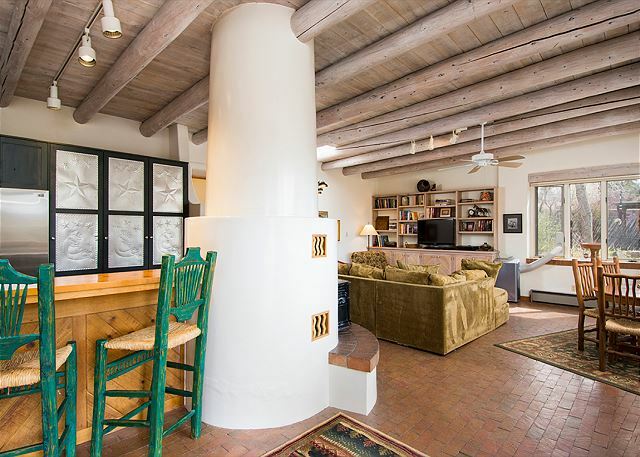 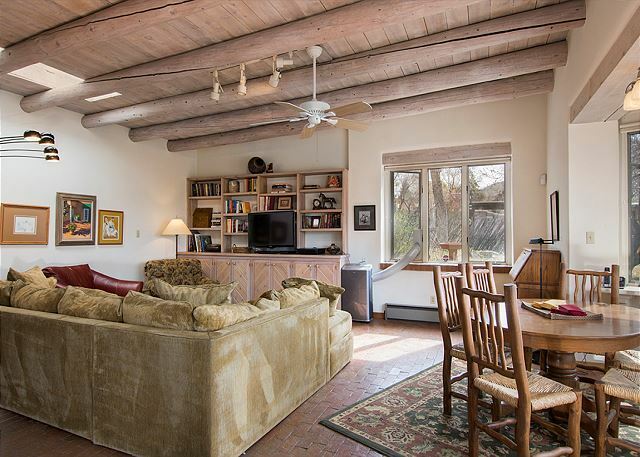 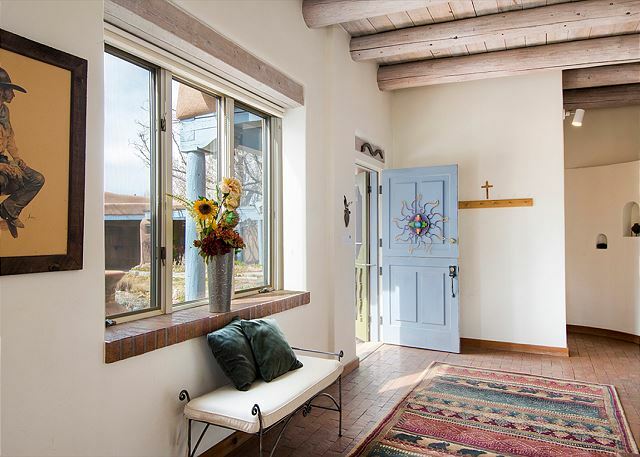 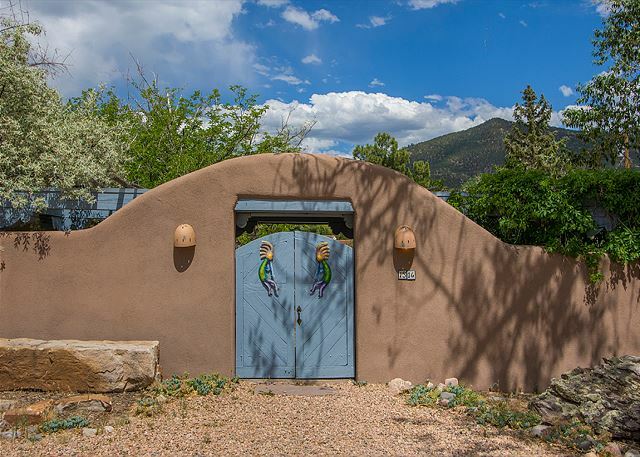 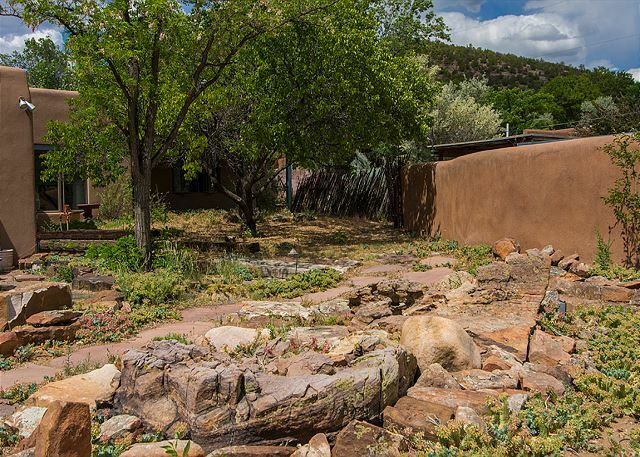 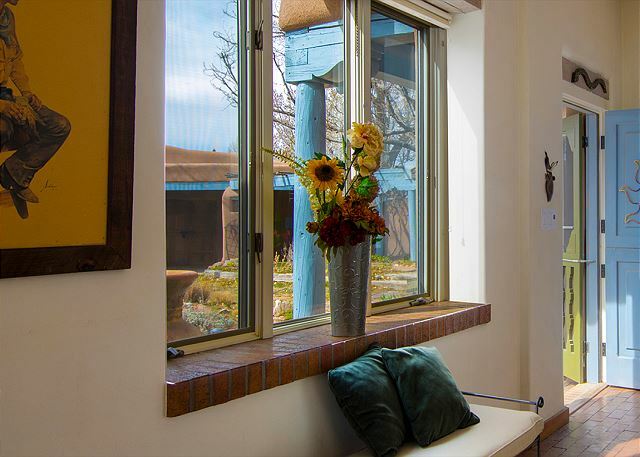 Located on the Historic Eastside of Santa Fe on Cerro Gordo Road, this lovely 2 bedroom, 2 bath home has an ideal location within walking distance of the Upaya Buddhist Center and the Cerro Gordo River Park. 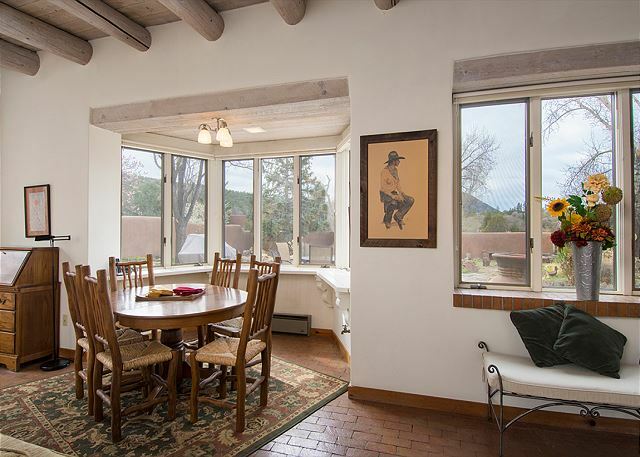 Lots of light, skylights, and views of the Pacheco-Atalaya and the Sun and Moon mountains. 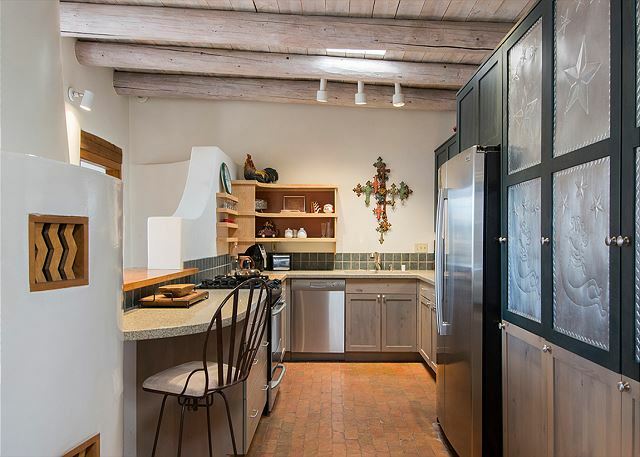 Stainless steel kitchen, gas stove, dishwasher and counter seating for two. 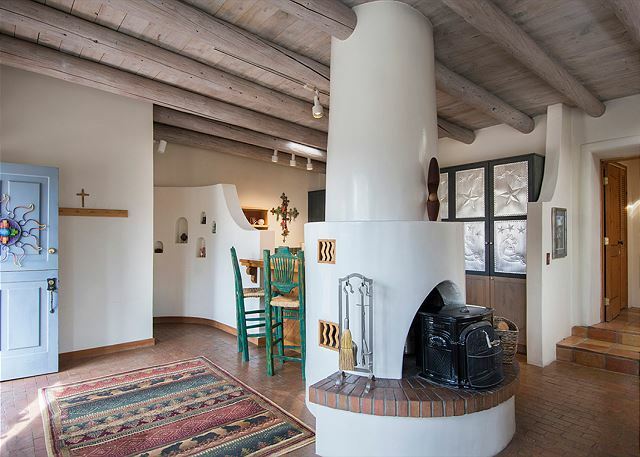 Wood burning fireplace insert in living room fireplace with plenty of seating for gatherings, dining table for 6, a/c unit and ceiling fan. 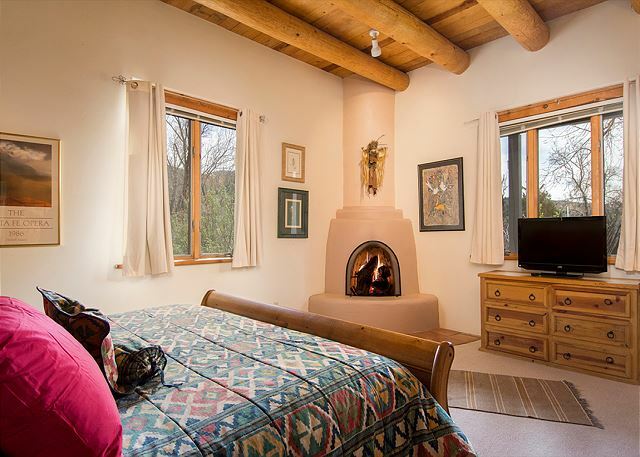 Master bedroom with television, ceiling fan, with separate shower and tub in en-suite bath. 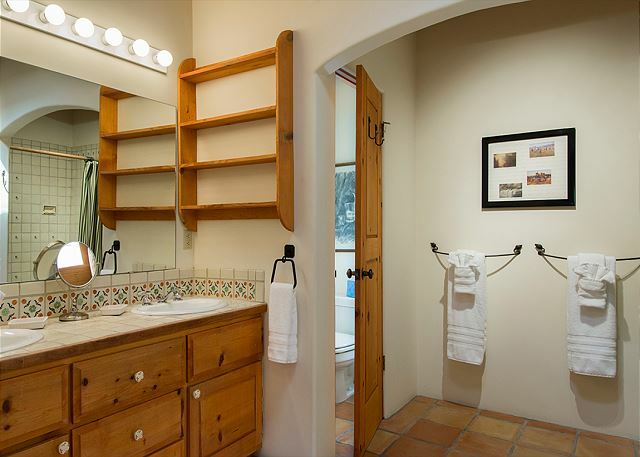 Second master with ceiling fan and alcove with trundle day bed, combination tub/shower bath. 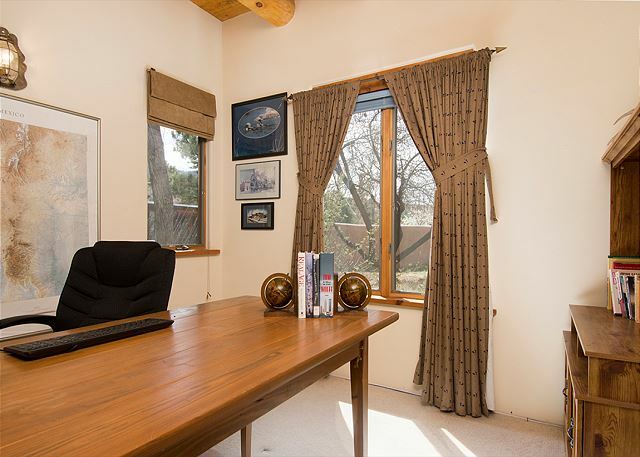 Dedicated office space with computer and printer. 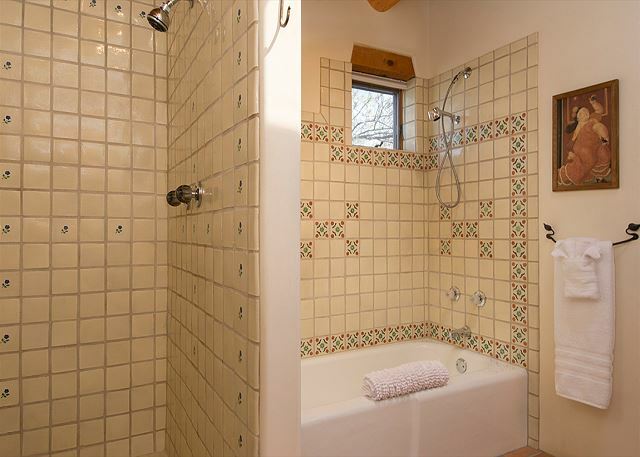 Radiant heat, washer/dryer, assigned carport parking for one vehicle, plus parking for an additional vehicle. 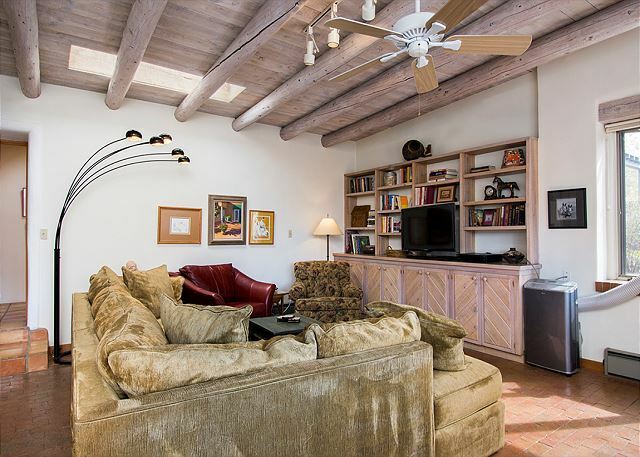 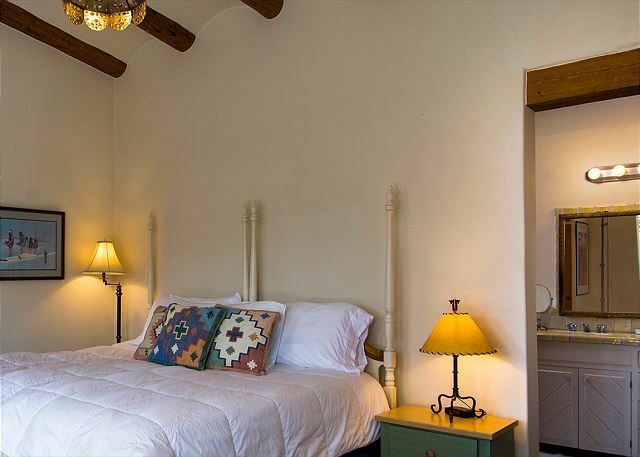 If available, this property can also be rented with the casita (Cerro Gordo Casita- 1316CGC) as an additional $2,000 per month. 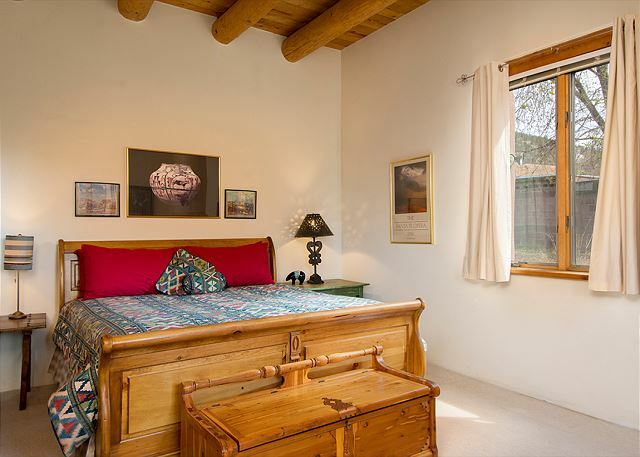 It was a pleasant stay and nice to have so much space, both private and common.